Arms and the Covenant is a 1938 non-fiction book written by Winston Churchill. It was later published in the US as While England Slept; a Survey of World Affairs, 1932–1938. It highlighted the United Kingdom's lack of military preparation to face the threat of Nazi Germany's expansion and attacked the current policies of the UK government, led by his fellow Conservative Neville Chamberlain. It galvanised many of his supporters and built up public opposition to the Munich Agreement. Non-fiction or nonfiction is content whose creator, in good faith, assumes responsibility for the truth or accuracy of the events, people, or information presented. In contrast, a story whose creator explicitly leaves open if and how the work refers to reality is usually classified as fiction. Nonfiction, which may be presented either objectively or subjectively, is traditionally one of the two main divisions of narratives, the other traditional division being fiction, which contrasts with nonfiction by dealing in information, events, and characters expected to be partly or largely imaginary. Why England Slept is the published version of a thesis written by John F. Kennedy while in his senior year at Harvard College. Its title is an allusion to Winston Churchill's 1938 book While England Slept, which also examined the buildup of German power. Published in 1940, Kennedy's book examines the failures of the British government to take steps to prevent World War II, and its initial lack of response to Adolf Hitler's threats of war. Duke of Marlborough is a title in the Peerage of England. It was created by Queen Anne in 1702 for John Churchill, 1st Earl of Marlborough (1650–1722), the noted military leader. In historical texts, it is often to him that an unqualified use of the title refers. The name of the dukedom refers to Marlborough in Wiltshire. 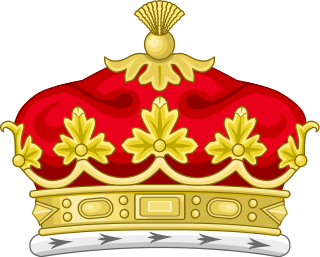 It is one of the few titles in the peerage which allows for suo jure female inheritance, and the only current dukedom to do so. Chequers, or Chequers Court, is the country house of the Prime Minister of the United Kingdom. A 16th century manor house in origin, it is located near the village of Ellesborough, halfway between Princes Risborough and Wendover in Buckinghamshire, United Kingdom, at the foot of the Chiltern Hills. It is about 40 miles north west of central London. Coombe Hill, once part of the estate, is located two thirds of a mile northeast. Chequers has been the country home of the Prime Minister since 1921. The house is listed Grade I on the National Heritage List for England. 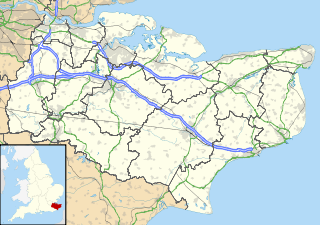 Westerham is a town and civil parish in Kent, England, 5 miles (8 km) west of Sevenoaks. While America Sleeps is a book by historians Donald Kagan and Frederick Kagan, published September 2000. Their thesis was that the United States at the end of the Cold War resembled the United Kingdom following World War I. They argue for a policy of strengthening U.S. defense and a willingness to use force. Michael Lind has argued that the book contributed to neoconservative thought in U.S. foreign policy. Sir Henry Strakosch GBE was an Austrian-born British banker and businessman. His parents were the merchant Edward Strakosch and his wife Mathilde,. He was born at Hohenau, Austria, and educated at the Wasa Gymnasium in Vienna and privately in England. Edvard Beneš, sometimes anglicised to Edward Benesh, was a Czech politician and statesman who was President of Czechoslovakia from 1935 to 1938 and again from 1945 to 1948. He also led the Czechoslovak government-in-exile 1939 to 1945, during World War II. As President, Beneš faced two major crises which both resulted in his resignation. The Hyatt Regency London – The Churchill is a five star hotel located on Portman Square, north of Marble Arch in central London, England. It is owned by The Churchill Group Ltd and is currently operated by Hyatt Hotels Corporation. Philip Tilden was an English architect, active in the early twentieth century, who worked for some of the most prominent members of English society, including Winston Churchill, David Lloyd George, Lord Beaverbrook, Sir Philip Sassoon, Lady Ottoline Morrell and Gordon Selfridge. Operation Hope Not was the code-name of a funeral plan for Winston Churchill that started in 1953, twelve years before his death. The detailed plan was prepared in 1958. 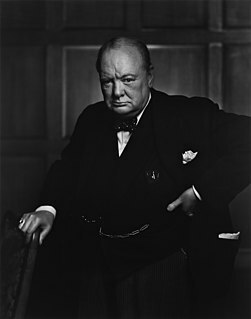 Churchill led the country to victory in the Second World War (1939–1945) during his first term as Prime Minister of the United Kingdom. While in his second term he was struck by a major stroke in 1953 that caused concern for his death. The British Government started a meticulous preparation, as officially decreed by Queen Elizabeth II, to be of a commemoration "on a scale befitting his position in history". As remarked by Lord Mountbatten, Churchill "kept living and the pallbearers kept dying" such that the plan had to be revised several times till his death in 1965. ↑ "Arms and the Covenant" (PDF). Churchill at Chartwell. Chartwell Booksellers. Retrieved 7 April 2015. The Library of Congress (LOC) is the research library that officially serves the United States Congress and is the de facto national library of the United States. It is the oldest federal cultural institution in the United States. The Library is housed in three buildings on Capitol Hill in Washington, D.C.; it also maintains the National Audio-Visual Conservation Center in Culpeper, Virginia. The Library's functions are overseen by the Librarian of Congress, and its buildings are maintained by the Architect of the Capitol. The Library of Congress has claims to be the largest library in the world. Its "collections are universal, not limited by subject, format, or national boundary, and include research materials from all parts of the world and in more than 450 languages." This article about a non-fiction book on English history is a stub. You can help Wikipedia by expanding it. This article about a book on politics of the United Kingdom is a stub. You can help Wikipedia by expanding it.